Diabetic retinopathy is damage to the blood vessels in the retina that is caused by Diabetes. The retina is located at the back of your eye. Diabetic retinopathy is the most frequent type of diabetes-related eye complication and a leading cause of blindness in the United States. Untreated diabetic retinopathy can lead to vision loss. Diabetic retinopathy may be prevented with strict control of blood sugar levels and blood pressure. People with diabetes should receive regular eye examinations. Early detection and treatment is the best way to prevent vision loss. The vision process occurs as light rays enter the front of your eye and are interpreted by your brain as images. Light rays first enter your eye through the cornea, a clear dome that helps your eyes focus. The anterior chamber is located behind the cornea and in front of the iris. The anterior chamber is filled with a fluid that maintains eye pressure, nourishes the eye, and keeps it healthy. The iris is the colored part of your eye. The iris contains two sets of muscles. The muscles work to make the pupil of your eye larger or smaller. The pupil is the black circle in the center of your iris. It changes size to allow more or less light to enter your eye. After light comes through the pupil, it enters the lens. The lens is a clear curved disc. Muscles adjust the curve in the lens to focus clear images on the retina. The retina is located at the back of your eye. Your inner eye, or the space between the posterior chamber behind the lens and the retina, is the vitreous body. It is filled with a clear gel substance that gives the eye its shape. Light rays pass through the gel on their way from the lens to the retina. The retina is a thin tissue layer that contains millions of nerve cells. The nerve cells are sensitive to light. Cones and rods are specialized receptor cells. Cones are specialized for color vision and detailed vision, such as for reading or identifying distant objects. Rods perceive blacks, whites, and grays, but not colors. They detect general shapes. Rods are used for night vision and peripheral vision. High concentrations of rods at the outer portions of your retina act as motion detectors in your peripheral or side vision. The greatest concentration of cones is found in the macula and fovea at the center of the retina. The macula is the center of visual attention. The fovea is the site of visual acuity or best visual sharpness. The receptor cells in the retina send nerve messages about what you see to the optic nerve. The optic nerves extend from the back of each eye and join together in the brain at the optic chiasm. The optic chiasm is the place where the optic nerves from the right and left eye meet and cross one another. From the optic chiasm, the nerve signals travel along two optic tracts in the brain and eventually to the occipital cortex. Type 1 or Type 2 Diabetes can cause diabetic retinopathy. People with high blood pressure and diabetes have a higher risk of developing diabetic retinopathy. High blood pressure, poorly controlled blood sugar levels, and the length of time a person has had diabetes are related to the potential extent of diabetic retinopathy and vision loss. There are two types of diabetic retinopathy, nonproliferative and proliferative. Nonproliferative retinopathy, also called background retinopathy, develops first. In this stage, high blood sugar levels damage the walls of the small blood vessels in the retina. The blood vessels become weak and leak. The leaking fluid may lead to retina swelling or deposit formation. Nonproliferative retinopathy can cause macula edema and macula ischemia. Macula edema is swelling of the macula that can result in central vision loss. Macula ischemia results when the blood vessels close and cannot supply blood to the macula. This may cause blurred vision because the macula does not receive enough blood. Proliferative retinopathy is a more advanced stage of diabetic retinopathy. This results when there is a widespread closure of retinal blood vessels. The growth of new abnormal blood vessels is then triggered. The new blood vessels attempt, but are unable to resupply the retina with blood. Proliferative retinopathy can cause both central and peripheral vision loss. Bleeding, retinal detachment, or glaucoma may cause vision loss. Bleeding results when the new blood vessels bleed into the eye. Retinal detachment may develop from shrinking scar tissue that pulls the retina from its normal position. These scars form in the eye from recurrent bleeds. This can cause severe vision loss if the macula or large portions of the retina are affected. Glaucoma results from increased eye pressure that can occur if abnormal blood vessels grow and block fluid drainage. The increase in inner eye pressure can cause damage to the optic nerve and blindness. There are often no symptoms during the early stages of diabetic retinopathy. Poor night vision may be one of the first symptoms. Other early symptoms include changes in your vision. You may experience “floaters” or specs in your field of vision, blurred vision, color abnormality, or vision loss. It is very important that you have an eye examination when you experience a vision change. Floaters and blurred vision may be a sign of proliferative retinopathy. Early diagnosis and treatment is associated with the best outcomes. You should contact your doctor immediately if you suddenly experience vision changes. In general, people with diabetes should receive a comprehensive eye examination each year. More frequent examinations may be necessary after the diagnosis of diabetic retinopathy. Pregnant women should schedule an appointment in their first trimester. Diabetic retinopathy can progress quickly during pregnancy. Your doctor will review your medical history and perform a thorough eye examination. He or she will look for blood vessel leakage or damage, macular edema (retina swelling), and damaged nerve tissue. The pressure inside of your eye will be measured. A vision test will be used to determine how well you see at different distances. In some cases, a fluorescein angiogram is used to detect blood circulation problems in the retina and choroid. The test uses an injected dye and a special camera to take photos of the blood vessels in the eye vascular structures. Fluorescein angiography is a simple and short test that is performed in your doctor’s office. A treatment plan for diabetic retinopathy includes strict management of blood sugar levels and high blood pressure. Laser surgery may be used for macular edema, neovascular glaucoma, and proliferative retinopathy. Laser therapy is used to reduce swelling, decrease blood vessel leakage, and shrink abnormal blood vessels. Some people may require multiple laser treatments over time. Laser surgery does not cure diabetic retinopathy, but it may prevent the progression of vision loss. Advanced proliferative retinopathy may be treated with vitrectomy. A vitrectomy is an outpatient microsurgical procedure that is used as a treatment for diabetic retinopathy and other eye conditions. A vitrectomy involves removing the vitreous gel and abnormal blood vessel growths from the inside of the eye. The vitreous may be temporally replaced with an air bubble or silicone oil to promote healing and protect the retina. Good control of blood glucose is crucial to prevent diabetic retinopathy as is control of blood pressure. One test that is frequently used to measure control is the Hemoglobin A1C test. This is usually done every few months by your doctor. One of the complications of laser treatment for proliferative diabetic retinopathy is loss of some of your night vision from the treated eye and a possible defect in your visual field. Surgery can be complicated by recurrent bleeding or redetachment of the retina. Recently certain drugs have been used to control edema and proliferative retinopathy. These drugs are injected directly into the eye in a painless procedure. Cortisone is one drug that is used to decrease swelling in the macula, and a new family of drugs called Anti VEGF drugs are used to control proliferation. Oral versions of the anti VEGF drugs are under development. 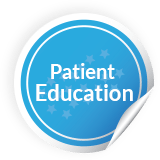 Learn about eye disease and the latest in diagnostics and treatments in our patient education library. Copyright © Bloom Eye Associates. Bloom Eye Associates is a full-service optical center in Philadelphia, Manyunk, Roborough, East Falls, Pennsylvania with a wide range of eyeglasses and contacts. Our eye surgeons specialize in the treatment of diabetic retinopathy, cataracts, dry eye, glaucoma, near-sightedness, far-sightedness, eye disease, and advanced eye surgery.